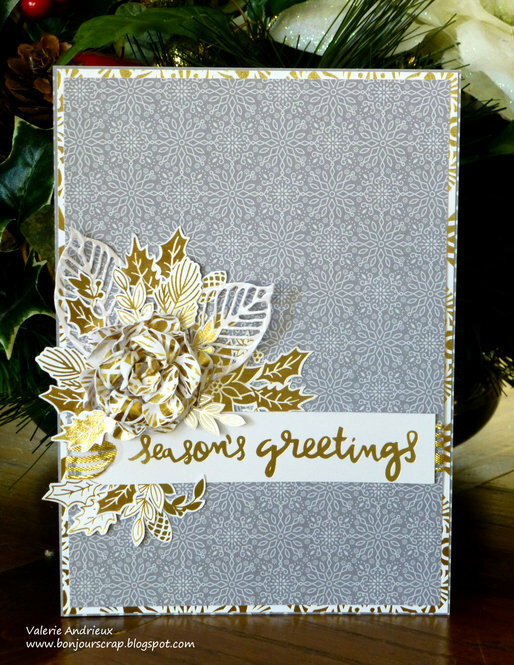 A Clean-And-Simple card today with a lot of fussy cutting and some gold to add pizzaz to it ! The golden leaves were cut out from DCWV paper (used for the background and sentiment too). 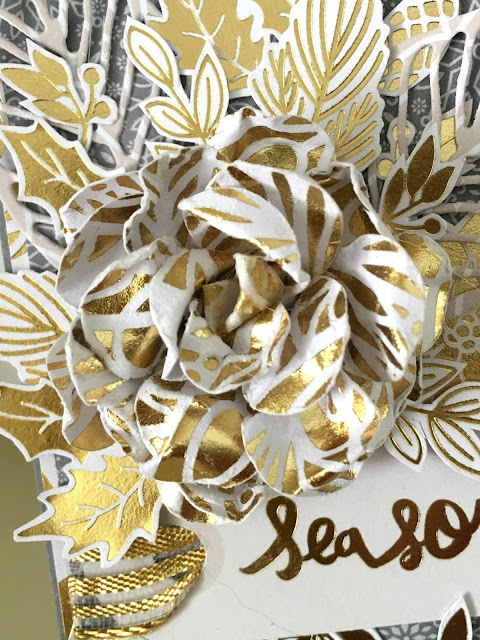 The two cream leaves are cut with a Prima Marketing die cut, and the rose is made with a Fiskars Poppy paper punch. In fact, I made a video tutorial to show you how to create this rose in a snap !